If you are a licensed plumbing contractor looking for an innovative way to supercharge your marketing and advertising please fill out this form and a representative will get back to you within 24 hours! 1-800-PLUMBING can help you increase your business and gain customer loyalty! Brick Marketing can increase the effectiveness of your on line advertising and marketing so that it gets results! Magnetic Water Heater Handles help you lower your injuries and material losses. Every small business is looking for an edge over the competition. With CrimShield, you have it! Easy CAM is a great new color inspection camera that is high quality, minimal downtime, and built to last. One of the unique features that this camera has is that it is easily serviced because all components are easily replaceable by the owner. 1-800-PLUMBING is a proud supportor of Habitat for Humanity. DSIRE is a comprehensive source of information on state, local, utility, and federal incentives that promote renewable energy and energy efficiency. SCORE is the Service Core of Retired Executives. It is an excellent resource for businesses to utilize. SCORE has been an integral part in the growth of 1-800-PLUMBING. Send Out Cards is a great tool to keep in touch with customers and associates. By sending an actual printed card you immediately set yourself apart from your competition. 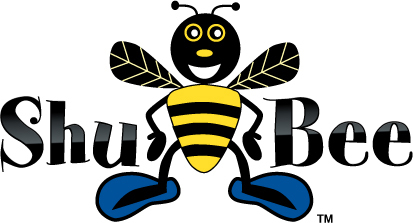 The ShuBee Team knows how and why our products work and even how they can help increase your sales because we’ve used them in our own plumbing/HVAC Company. We’ve taught service companies all over the nation how to increase sales and gain repeat customers. No matter what type of service industry you are in, the same basic marketing principles still apply. Our company has deep roots in the service industry and we want to help our clients succeed just as we have. We built and sold two successful Plumbing and HVAC companies. We’d like to help you achieve these same opportunities. ShuBee specializes in providing solutions to service companies since the turn of the century. We know firsthand the obstacles you face dealing with clients and competition.We are always told to be distinctive; be unique; don’t sell price – sell the service. At ShuBee, our Service Consultants offer their knowledge and expertise to help you grow your business. They know what will help set you apart from the competition and can advise you on how ShuBee products can help you grow your business. Spotrunner is an innovative and affordable way to harness the power of TV advertising. PLEASE SELECT 1 OPTION BELOW: * I am looking for a plumber in my area. I am a plumber interested in using the 1-800-Plumbing vanity phone number.